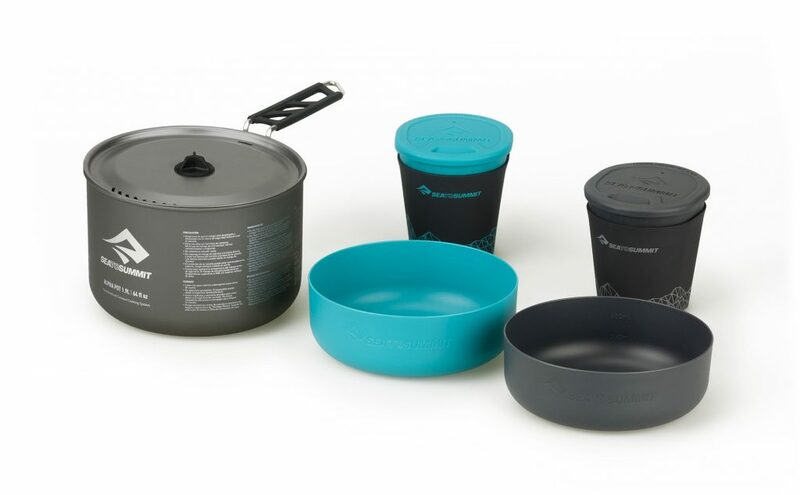 Lightweight and storable cookware sets from Sea to Summit. 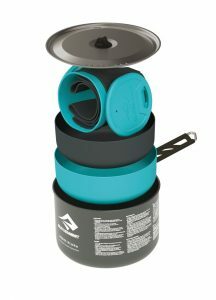 The new Alpha cookware sets from Sea to Summit are lightweight camping sets for backpacking and camping. Each set nests together into the largest pot and can be securely locked using a sturdy, non-removable, Pivot-Lock™ handle. 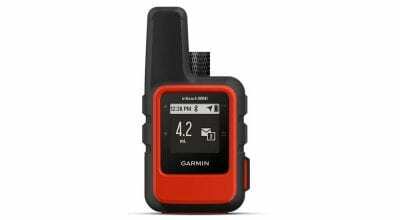 The Alpha 2.1, designed for two people, includes a 1.9-liter pot, plus two sturdy bowls and two insulated mugs made of BPA-free, microwave safe, glass-reinforced polypropylene. The mugs, suitable for hot or sold drinks, come with insulation sleeves and rubber lids so you can sip on the go. The whole shebang nests into the 1.9L pot, which, at 4.7 inches tall and 6.5 inches in diameter, is more than packable. 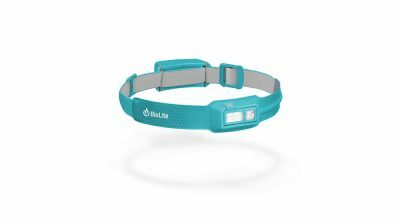 The pot, made of hard-anodized aluminum alloy, is slightly heavier than a titanium alternative but still certainly falls into the lightweight category. Aluminum is also slightly less durable than titanium but is considerably less expensive and is better for cooking, as the metal conducts and distributes heat more effectively. Furthermore, the anodization on the Sea to Summit pots help to increase durability compared with other aluminum products.The pot does not have a non-stick finish, so take care not to burn food on them. A graded volumetric scale on the outside of the pot makes measuring, even in the backcountry, a breeze. The pot lid comes complete with a strainer (no more picking pasta up off the ground!) and has a heat-resistant silicone grip on the outside for lifting the lid off the pot and a tab on the inside so you can clip the lid to the side of the pot when stirring or adding ingredients, rather than putting it on the ground. The Alpha range of cookware is also available in one- and four-person cooksets (Alpha 1.1 and Alpha 4.2), and a two-person set with two pots (Alpha 2.0), so there’s a set for any party, be it family car-camping or solo backpacking.